Obviously, I love pizza. And I love beets, so why not combine the two? Preheat your oven and stretch out your dough. 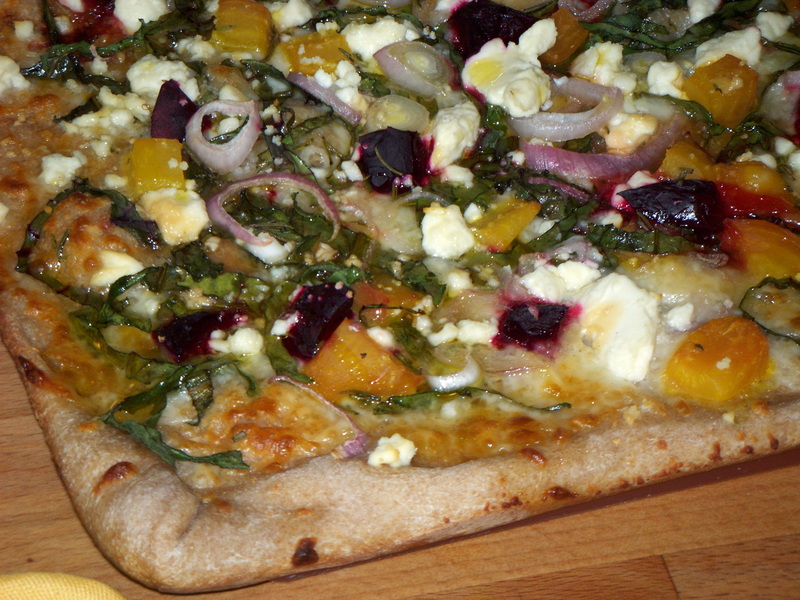 Top with the shredded mozzarella, then the beet greens, then the beets, then the feta, rosemary and shallots. Drizzle a bit of honey over the whole thing (not too much) and pop into the oven. So delicious! Sweet, savory, salty, yum!